As a thank you for your gift to reach souls with the clear Gospel, Pastor Scudder would like to send you a DVD of his 2-part series, “Dinosaurs that Destroy Evolution,” a DVD of his 4-part series, “The Ark of Noah,” and the coloring book that accompanies the Dinosaur Series. Dig for dinosaurs and expose the faults in Evolutionary Theory. Join Jim Scudder, Jr. and Dr. Carl Baugh on an unforgettable dinosaur dig in the wilderness of Colorado! The team examines dinosaurs that don’t fit into the Evolutionary timeframe. Does this destroy the Theory of Evolution and support the Biblical account of Creation and a global, catastrophic flood? Is there an explanation other than millions of years of Evolution? Follow along on this action-packed adventure. 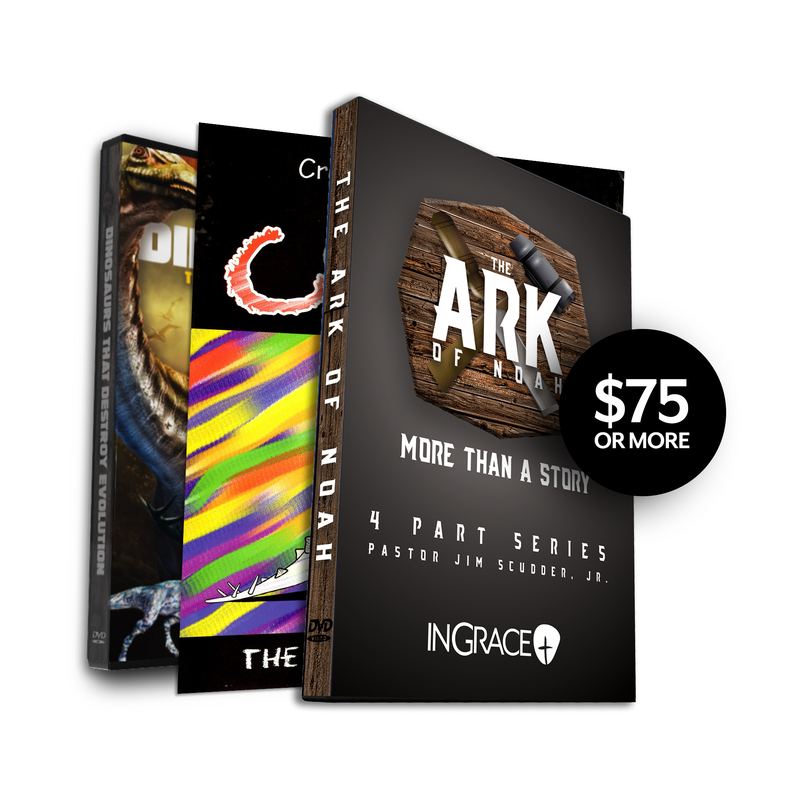 Get the DVD version of our special TV series, The Ark of Noah – More Than a Story. Pastor Jim Scudder, Jr. takes us on a journey to discover the truth about Noah’s Ark and the Great Flood. In this four part series, you will experience Inside Noah’s Ark, Building the Ark, Outside Noah’s Ark – Effects of the Flood, and Outside Noah’s Ark – Grand Canyon Tour.